A new weekly express special train from Naharlagun of Arunachal Pradesh to Anand Vihar Terminal in Delhi will be inaugurated by Minister of State for Home Affairs Kiren Rijiju and Minister of State of Railways Rajen Gohain on 1st March at Naharlagun railway station. 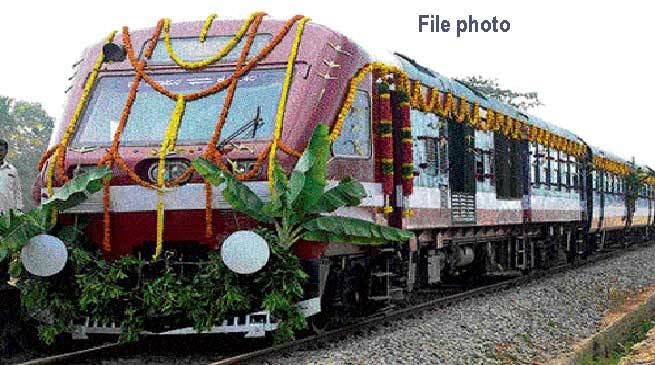 The new train, numbered as 02411 / 02412, will be called the Arunachal Express and it will be the 14th direct train connecting Northeast with the national capital. With the introduction of the new train Arunachal Pradesh will now be connected with the national capital with two trains. A weekly AC express (No. 22412/22411) is already running between Naharlagun and Anand Vihar. It must be mention here that the PM Modi had announced for this new Arunachal Express during his visit in Itanagar on February,15 last.